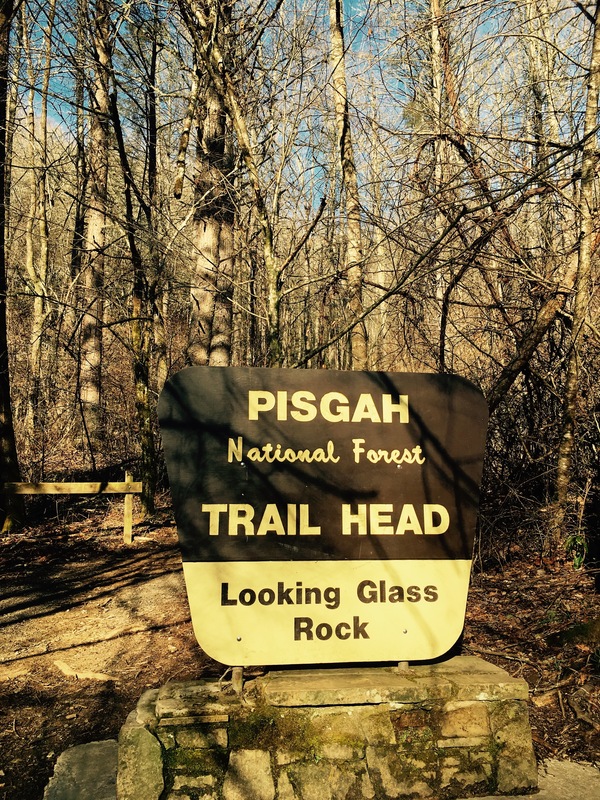 Looking Glass Rock Trail is likely one of the most popular in the Pisgah Ranger District. For the past four (4) weeks, as I have hiked in the vicinity of the trailhead, I have seen countless cars there. I decided to get an early start this morning, as to beat the crowd. I arrived at the trailhead at 8:45 am, only the second car in the lot. The parking area is located off of F.S. 50. If you are driving from Brevard, turn left toward the Pisgah Center for Wildlife Education. Looking Glass is centrally located to my hiking from the past several weeks. 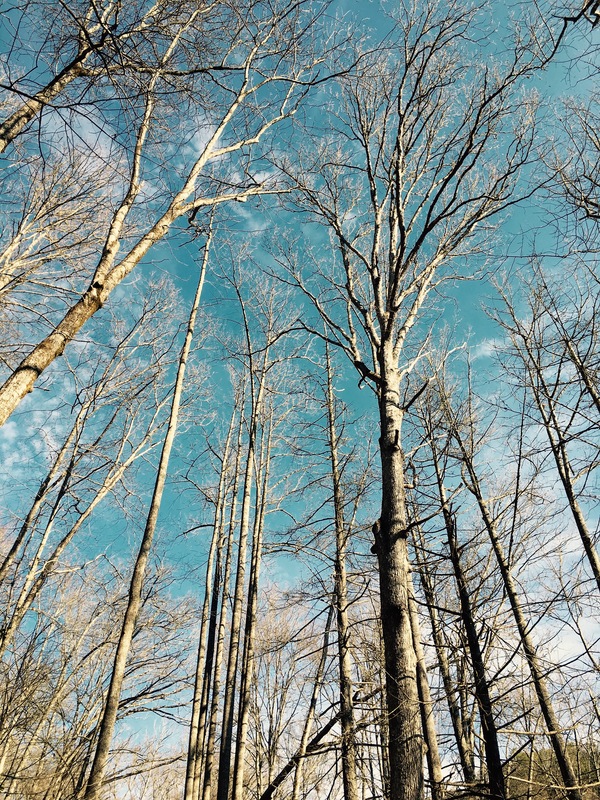 It lies directly west of Cove Creek Campground and just north of John Rock. The trail up to the lookout is not overly steep, but rather a steady uphill climb of 2,000 feet spread over 3.1 miles. The first half-mile lies within earshot of the stream and the Davidson River. After .8 miles, the trail starts a series of switchbacks, too numerous to count. At 1 mile, is a nice winter overlook of John Rock, the other stone monolith in the area. At 2.5 miles, I reached a stone outcropping with a great view of the sky. According to the Forest Service, this is used as an emergency helicopter-landing site. [i] A couple with a dog was hanging out on the rock (presumably the owners of the other car in the lot), and I pressed onward. The next .6 miles are rocky, uphill, with no switchbacks. The soil gets sandier and dryer the higher you hike. 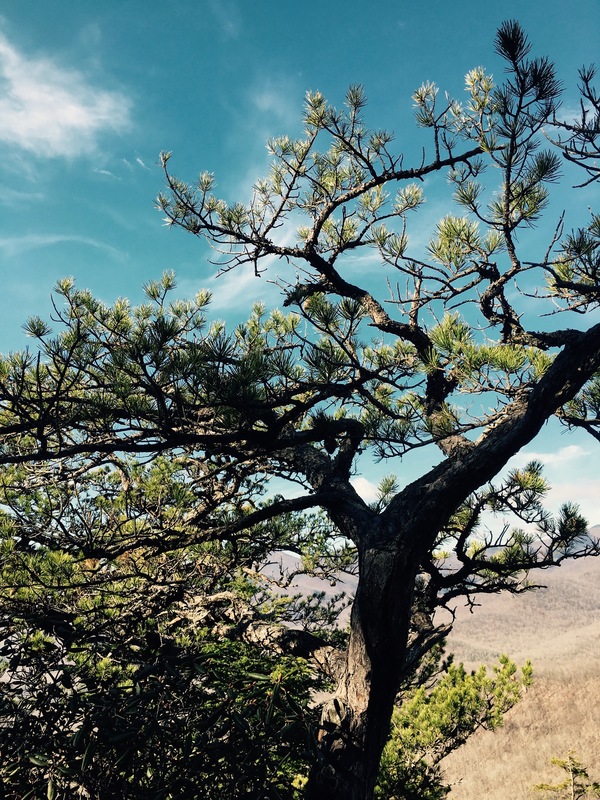 Now pine trees appeared interspersed with mountain laurel. Just prior to reaching the summit, I wondered if I would recognize the end of this trail. 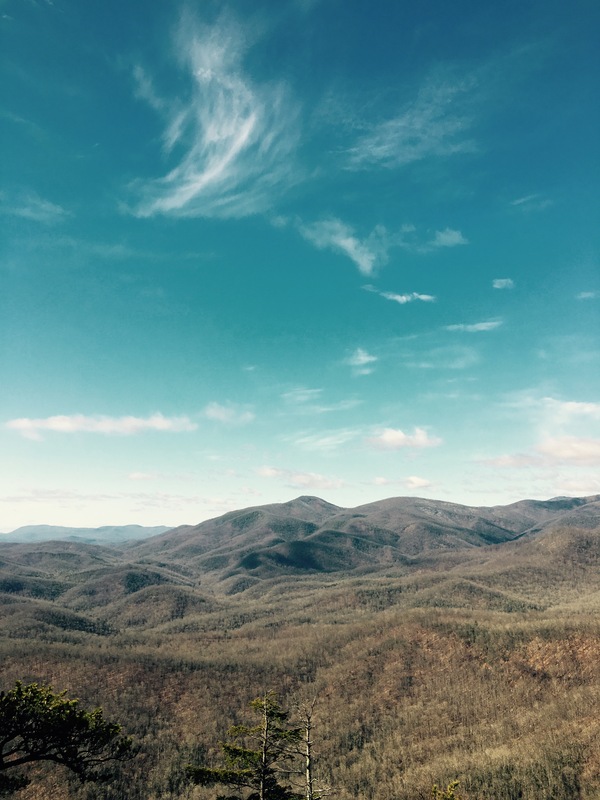 As I stepped out onto the ledge of Looking Glass, I stood in awe, literally at a loss for words: the view of Shining Rock Wilderness to the north; the ancient table mountain pine trees that appear to grow from the rock itself; the rolling hills in the distance. I had the summit to myself, not another soul present. As I made my way back down, I saw the evidence of this being a popular destination: couples, kids from college, families, and tons of dogs. I enjoyed seeing so many people, but was glad of my early morning mountain top experience to myself. Total mileage is 6.2 miles.